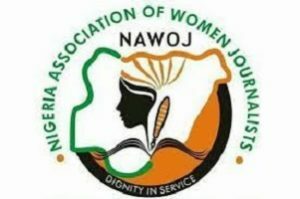 2019 Election: Nigerian Women Journalists Advised To Play Safe. Nigerian Women Journalists have been advised to play safe, stressing that no story or photograph worth their lives hence, safety first before any other thing. A former officer of the NUJ, FCT chapter, Mrs Rafat Salami gave the advice during a 3-Day workshop on Gender Sensitive Reporting, Equity and Safety For Female Journalists held in Kaduna, Northwest, Nigeria. It was organized by the National body of NAWOJ in collaboration with the International Federation of Journalists and the Federation of African Journalists. Salami said no story worth any life of a Journalist, especially, woman Journalist’ she said. According to her, the objective of the workshop was to equip journalists with the skills that would make them do their job safely. “As we do our jobs we are trying to reduce the incidence of such injuries and sufferings by equipping journalists with the right skills” she said. 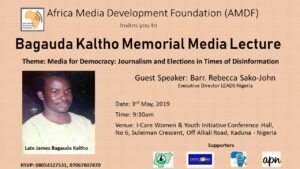 According to her, the programme is a partnership with International Federation of Journalists and the Federation of African Journalists sponsored by the Norwegians union of Journalists. She re -emphasized that the workshop was to highlight the issues that affect women much more, saying that, insecurity affects women, crises affect women more ,and they need to highlight in their reportage. 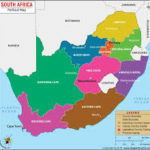 She said the workshop has been on since 2017 and will continue until it covered all the states. 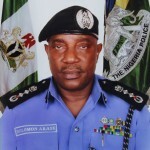 “The reason the training is taking place in all states in Nigeria and Africa at large is that we have incidences across the country. There are pockets of issues that arise at each point such as herdsmen, insurgency amongst others and therefore it is important to have journalists with skills that will keep safe “she said. She advised the women to always take themselves seriously so that others would take them seriously, and Women should not be afraid to bring themselves forward and air their views. 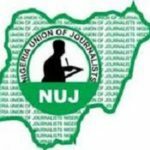 Also speaking, the Chairman Nigeria Union of Journalist (NUJ) Kaduna State Council, Comrade Adamu Yusuf stressed the need for Journalists to strictly abide by the ethics of the profession before, during and after the forthcoming election. Yusuf however commended the national executive of NAWOJ for organizing the workshop saying the workshop is an opportunity giving the female journalists in kaduna to improve on their reportage during the general election. The chairman assured that the NUJ as the mother body, would give all the necessary support to see to the success of the workshop. In her address of welcome, the Chairperson of the Kaduna State chapter of Nigeria Association of Women Journalists, (NAWOJ) Hajiya Fatima Aliyu said the participation of women in Journalism has without doubt, added a very important role to the noble profession. According to her, the workshop in its general sense addresses thorny issues on gender sensitive reportage, equity and justice for women Journalists. “I dare say that the workshop will undoubtedly engender robust deliberations as we rub minds to chart a desired course for the role of the womenfolk in journalism”, she added.